On May 10, 2004, Jon and Kate Gosselin gave birth to sextuplets after already having one set of twins in 2000. It wasn’t long before they were approached by TV producers to star in a show about their undoubtedly chaotic lives. 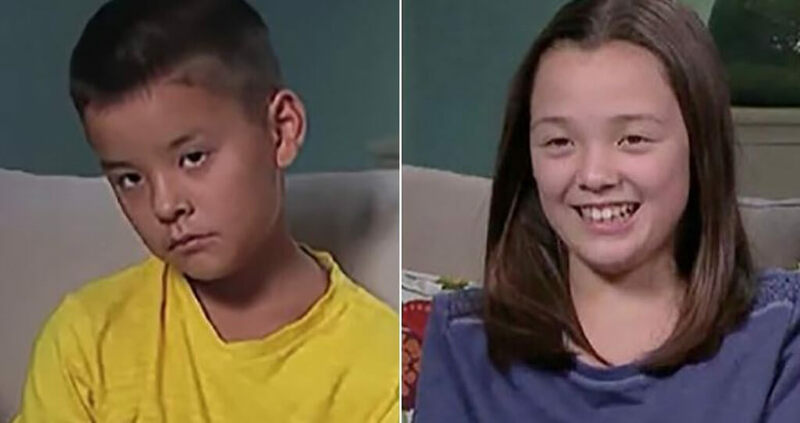 After two one-hour specials, the show Jon & Kate Plus 8 aired on TLC. The show ran from 2007 to 2009 until Jon and Kate divorced. 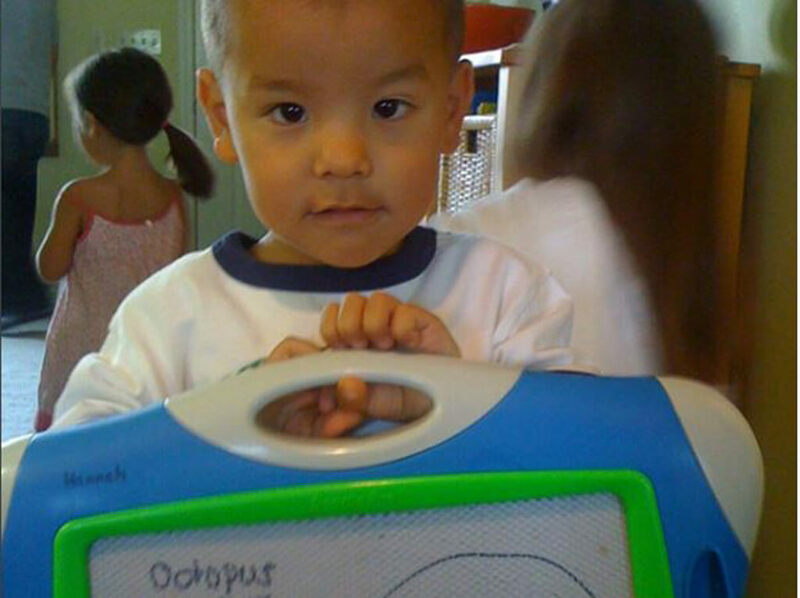 Kate then starred in her own show Kate Plus 8, which has been on and off the air from 2010 until today. But with all of the drama that goes on in a family of eight children, one thing sticks out. Over the years, the show began to see less and less of Collin, one of the sextuplets. Then, one day, he was completely gone. Learn about the story of Collin, what happened, and all of the drama behind his disappearance from the show. 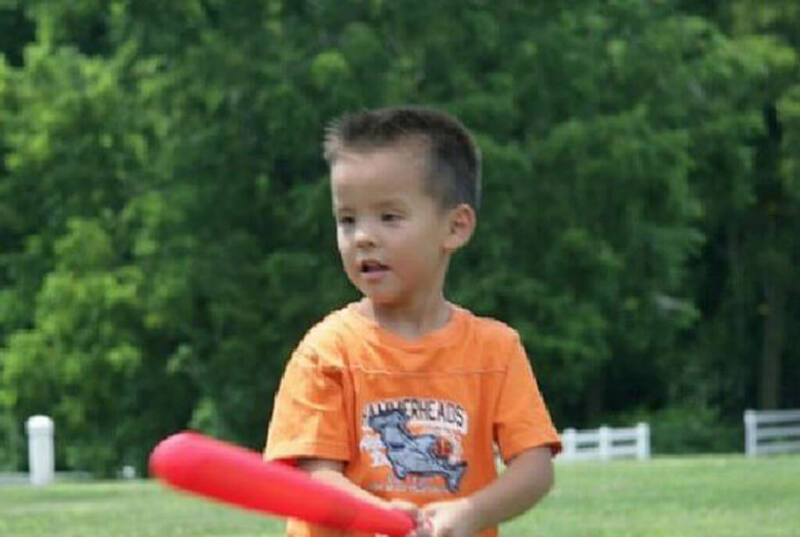 Collin Gosselin was the fourth of the Gosselin sextuplets to be born on May 10, 2004. He was delivered by Caesarean section at the Penn State Milton S. Hershey Medical Center between 7:51 and 7:54 a.m. He was the biggest of the sextuplets weighing 3 pounds 0.5 ounces and measured 15 inches. Collin grew up in front of the camera but there was one thing in particular that he couldn’t escape. As if living in a house with seven other kids wasn’t chaotic enough, it didn’t help that Collin didn’t like being filmed. At one point, he had become so overwhelmed by the filming that he even refused to have his picture taken for the school yearbook. Although the film crews tried to make life on the kids as stress-free as possible, there’s only so much they could do while still getting their job done. It’s assumed that constantly being filmed throughout his childhood was a contributing factor to his disappearance on the show. At first, it may have appeared that Jon and Kate were happily married while trying to juggle the chaotic life of raising eight kids. However, during season 5 of Jon & Kate Plus 8, the two announced their decision to separate to the whole world. Supposedly, Jon was overwhelmed by the amount of responsibility that was forced on him. 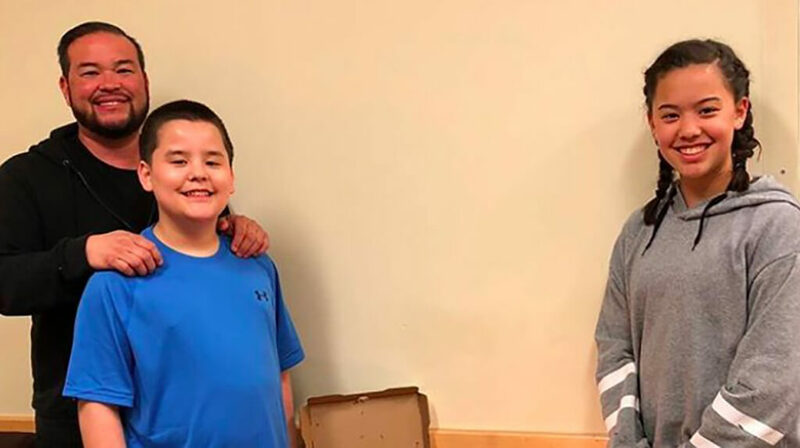 On the divorce, Jon commented that his marriage was “very non-affectionate” and “just kind of like ten years of a business transaction.” The separation took a toll on all the children, and especially Collin, who was beginning to show signs of misbehavior and other issues. Apparently, Kate had always had her struggles with Collin, even from a young age. In her 2010 memoir, Just Want You To Know, Kate expressed her frustration. She writes, “At two and a half, you began testing and trying my parenting at every chance. I called Daddy at work many days crying because you would not obey. I had to ask you every day, ‘Who’s in charge here: you or me?’ You would reluctantly answer, ‘You are. '” Little did anyone know that these problems early on would carry on and get worse as he grew up. In November 2011, Collin and his sister Alexis were expelled from their school on account of numerous behavioral issues. Apparently, they physically harmed a teacher, fought with other students, and were known bullies. Ultimately, the school administration requested that the kids be taken out of the school. Both Colin and Alexis were placed in a three-week intensive special treatment program to work on their behavior. However, Kate denied that anything was wrong with either of them at that she intended on enrolling them back into school as soon as possible. Although the problems may have ended here for Alexis, that was not the case for Collin. 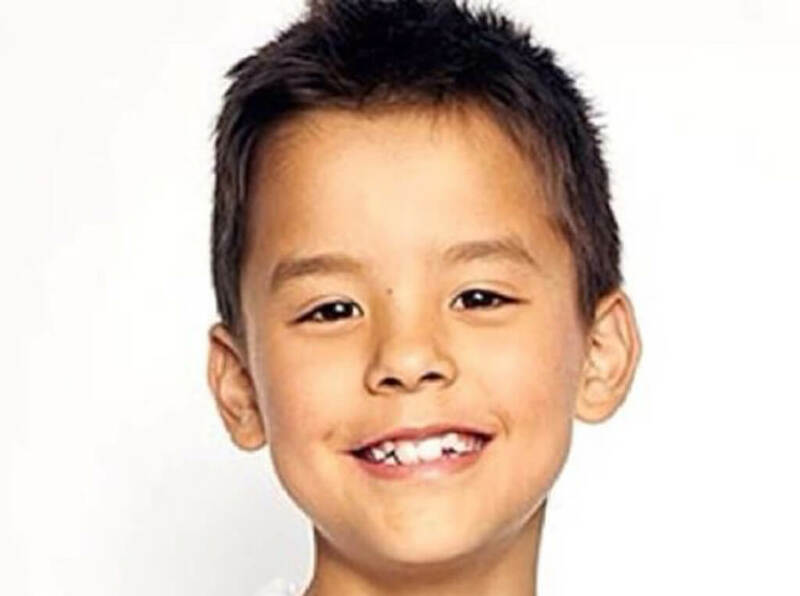 Over the years, audiences began to see less and less of Collin on Kate Plus 8. Although he would still be on the show occasionally, it was noticeable that he was missing more frequently than not. Eventually, he disappeared entirely. When he was on the show, people commented that he was very reserved and his siblings did most of the talking on the episodes. Fans of the show began to question the whereabouts of Collin, and it wasn’t long until Collin was completely absent from the show. Rumors began to spread about Collin’s disappearance. See one of the worst rumors that began to circulate about Kate’s treatment of Collin. 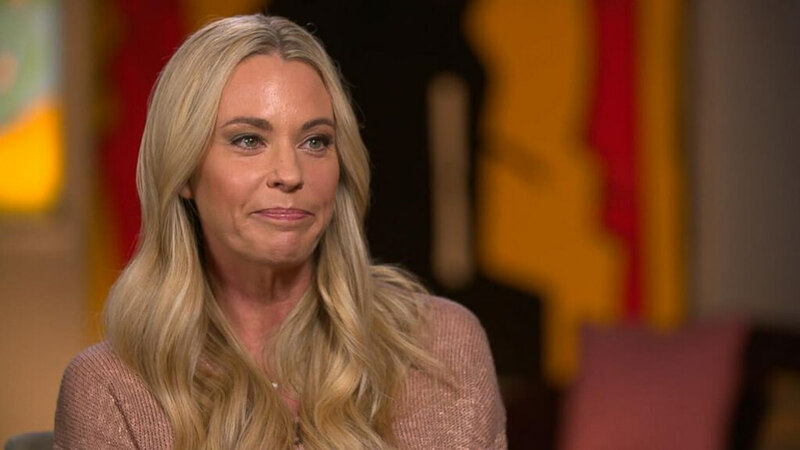 Kate Gosselin’s life is a breeding ground for rumors. However, one of the worst one involved her and Collin. As we began seeing Collin less frequently and eventually not at all, a rumor began to spread that Kate had abused Collin. He had allegedly opened up to someone that his mother had physically abused him and Child Protective Services was called to investigate. Jon was also contacted and claimed that he worried for his son’s safety every day. Of course, Kate has denied these claims and told Good Morning America that “I’m in the public eye. 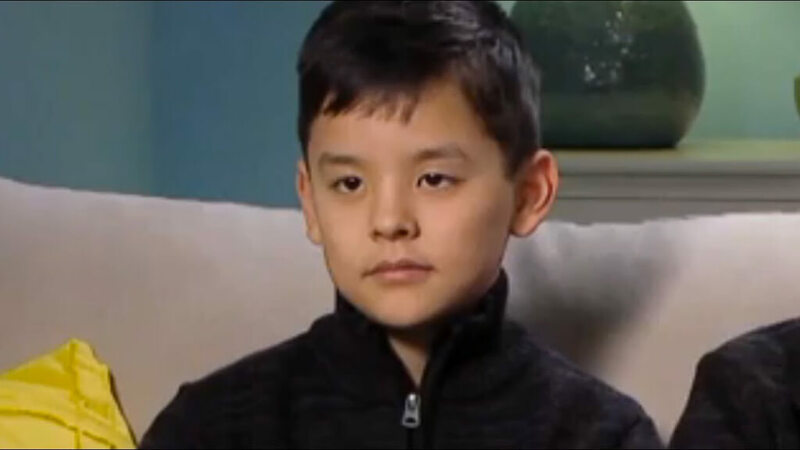 I have been investigated many times … It’s always unfounded obviously,” Coming up: See the real reason why Collin ceased to appear on Kate Plus 8. Kate also refused to share what his exact diagnosis is, but it explains his erratic behavior while growing up and on the show. She continued saying that “I don’t know what the road ahead entails, but I’m very happy with the care that he’s getting, and am still completely comforted by the fact that he is so clearly exactly where he needs to be.” However, not everyone supports Kate’s decision to send her son away. 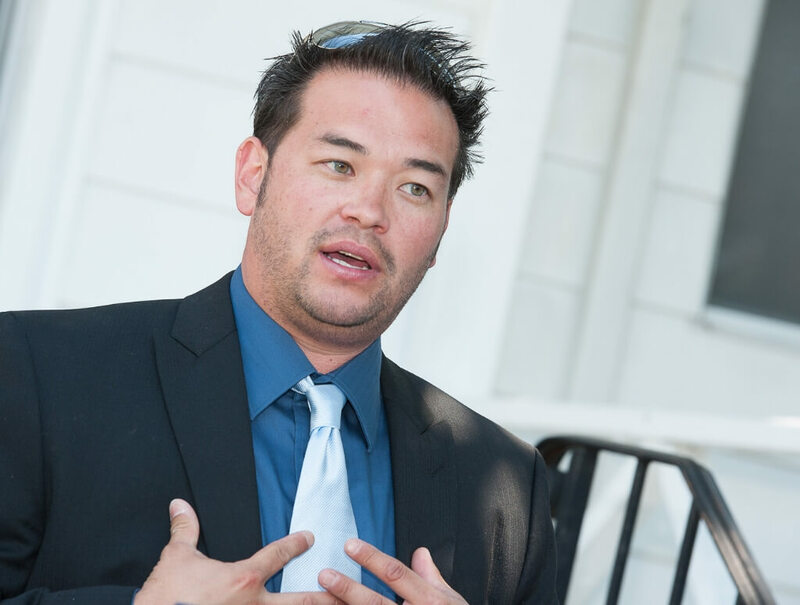 In October 2018, Jon Gosselin filed for full legal and physical custody of 14-year-old Collin. When Collin is released from the special needs program he’s currently in, he’ll join his sister Hannah at his dad’s house. Hannah has already been living with Jon for a year. Next, learn more about why Kate wanted Collin out of the limelight. Kate definitely has her reasons for keeping Collin out of the public eye and away from the cameras. She thinks that the cameras and everything that goes into the show might be too much stimulation for him which might be overwhelming. A friend close to Kate commented to Hollywood Life that “He definitely finds it easier to function and cope better without all the chaos that his home life entails.” As much as that may make sense, believe it or not, the public didn’t take too kindly to Kate’s decision on how to handle Collin. Although the show’s fans are happy that Collin is receiving help, it became painfully apparent to most that Collin was purposefully left out of family events. 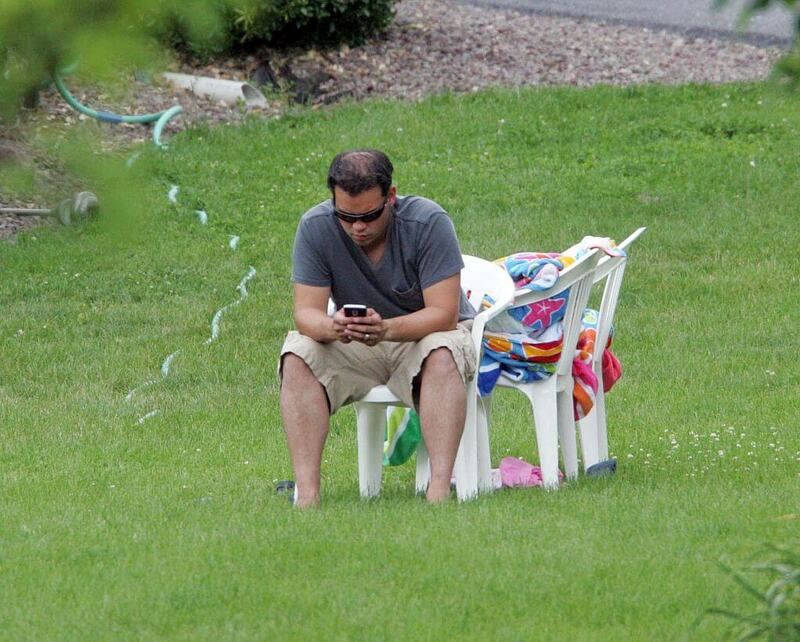 Kate frequently posts pictures of family outings, celebrations, and holidays of all her kids except Collin. This has lead to people commenting #wherescollin and even claiming that she treats her dogs better than her son with special needs. People have also claimed that she makes it appear as though Collin is present when he’s probably not. They believe she does this in order to try and prove to the public that she’s a good mother. While some people understand that Collin’s treatment might get in the way of family time, others point out that Kate doesn’t even mention him at all anymore. On her Instagram, she posts pictures of her kids together or by themselves, but never anything of Collin. So, to some, this sounds like Kate was dealing with a problematic child and her solution was to exile him from the family under the disguise of something else. For Kate, the public wasn’t the only thing she had to worry about regarding Collin’s situation. Of course, Collin’s siblings miss him immensely. The sextuplets grew up together and to have one of them missing has really taken a toll on them. Specific sextuplet occasions such as their birthday have been described as particularly emotional for the bunch. Even though Kate and Jon are no longer married and spend as much time apart as possible, there’s still some severe animosity in their relationship. They are in constant disagreement over their children, and especially Collin. After Kate shared a Halloween photo of all the kids except Collin, he broke down. He told Hollywood Life that “The way Kate is handling things with Collin breaks Jon’s heart, but he has no say.” He feels that Kate isn’t actually giving Collin what he needs and has put him on the back burner. See what Jon has to say about Kate’s parenting strategies. When dealing with Collin, Jon explains that he feels powerless to do anything about it. He didn’t even know where Collin was for a while because Kate wouldn’t tell him. But Jon wasn’t comfortable hiding Collin like Kate. Check out the picture that shook the Internet! Since Collin entered the treatment facility in 2016, no one knew where he was or if he was okay. This was incredibly concerning to a lot of fans that one of the Plus 8 kids had just fallen off of the face of the earth. Also, Kate not giving any updates on social media wasn’t any help. But then, in May 2018, Jon shocked fans when he posted a picture on Instagram with Collin and his sister for his 14th birthday. 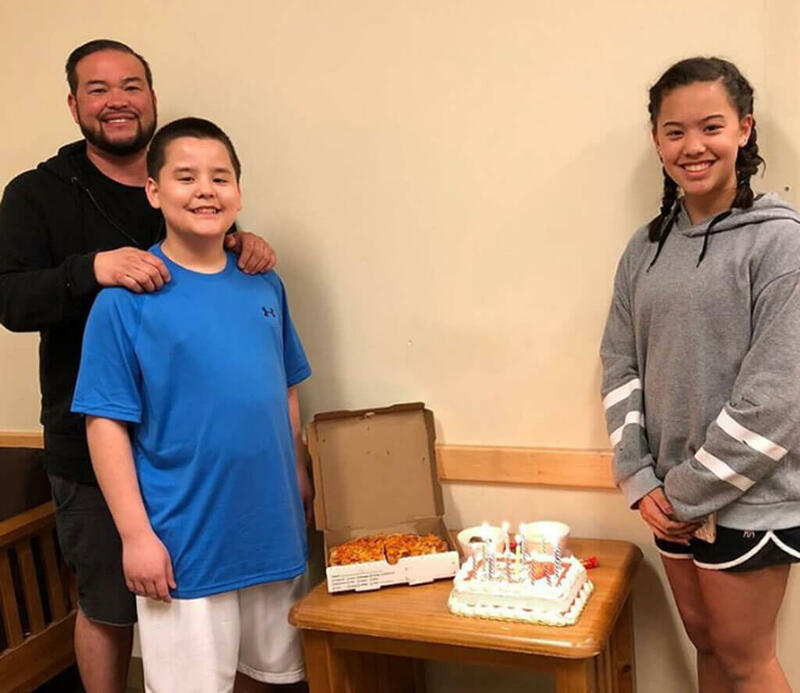 The caption read: “Glad I could celebrate my son Collin’s 14th birthday with him and his sister.” This picture brought the attention of the media back on the Gosselins, and Collin was a topic of conversation once again. This picture set Jon’s followers and the kid’s fans on an absolute frenzy. Jon was receiving endless positive comments about how thrilled they were to see that Collin was okay and that he was with his father. Everyone was wondering what had happened to Collin and if what Kate was saying was true. However, considering how hard Kate has tried to hide Collin from the world, we wonder what she thinks about it. It looks like we aren’t going to be seeing Collin back in the mix anytime soon, but his fans are happy to know that he’s okay. What Are The Rest of The Gosselins Doing Today? 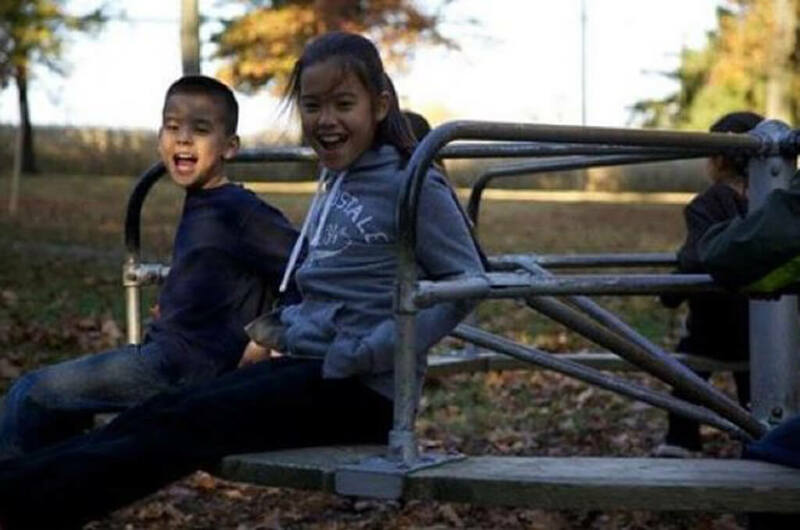 It’s hard to believe that Jon & Kate Plus 8 started over a decade ago. To say the family of 10 has been through a lot would be an understatement. The truth is, the last decade hasn’t been easy on any of the Gosselins. From a nasty divorce to Collins mysterious whereabouts, there has been no shortage of drama. Take a look at some of the highs and lows of Jon & Kate and their eight have gone through throughout the years. 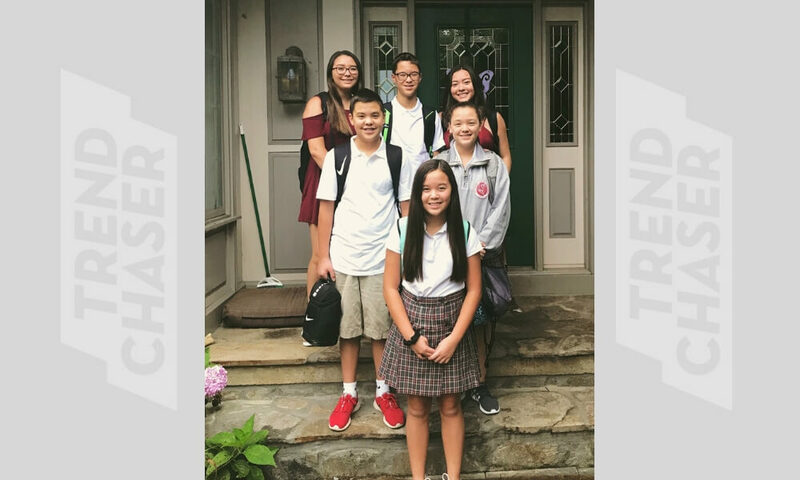 First up, the Gosselin sextuplets start eighth grade and the twins start their senior year. 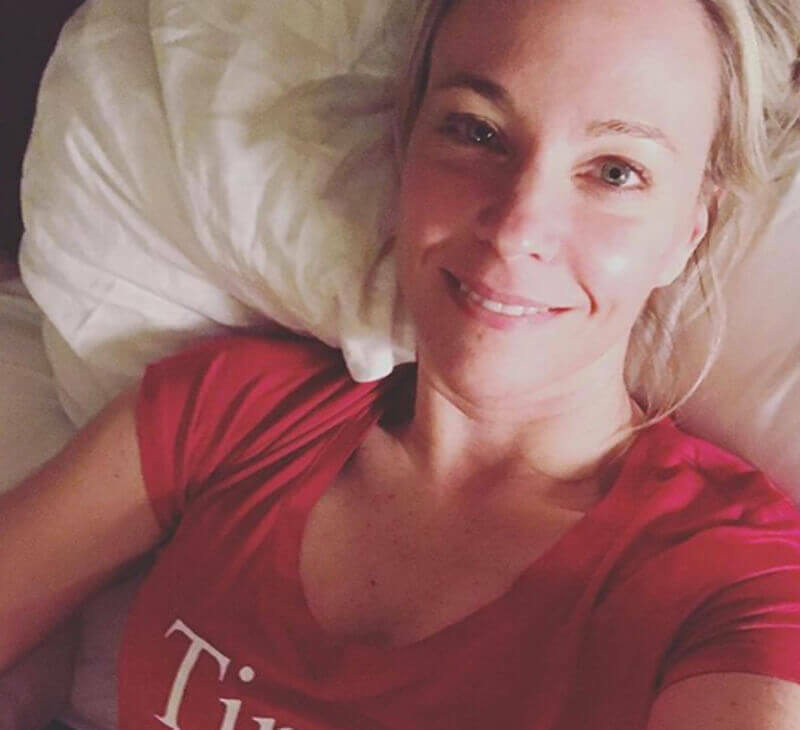 These days, the Gosselin sextuplets are no longer little kids and the proof is laid out on Kate’s social media channels. 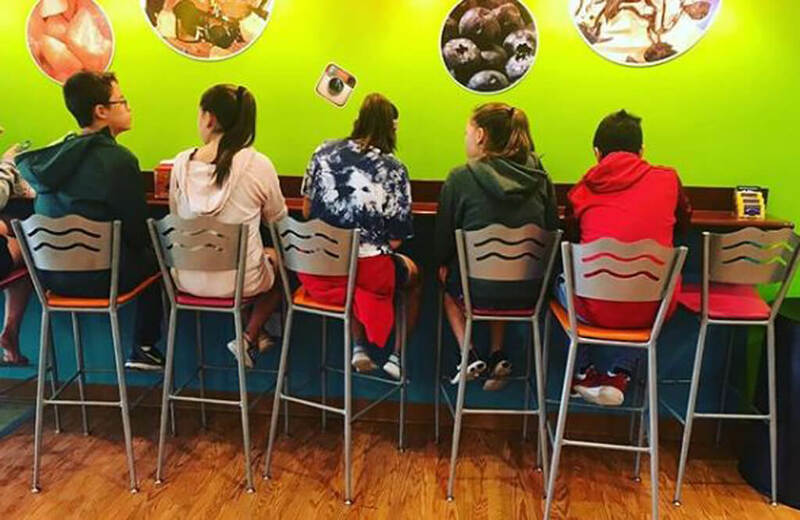 On August 24, 2018, Kate took to Instagram to share the Gosselin six’s newest milestone: 8th grade! 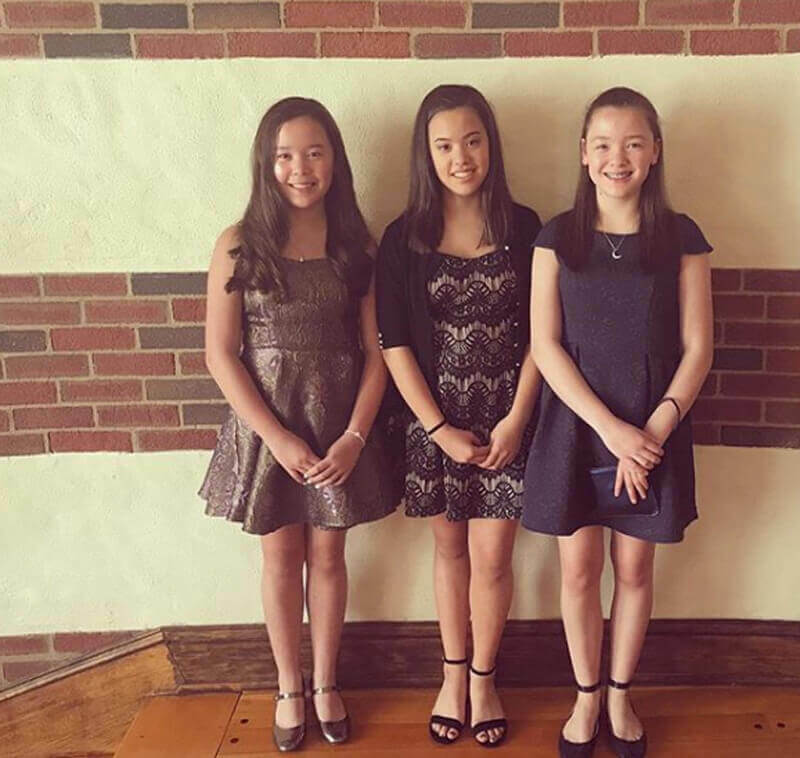 The Gosselin twins had another big milestone — they started their senior year. Still, despite sweet snapshot, people couldn’t resist but leave comments questioning the whereabouts of Hannah and Collin. 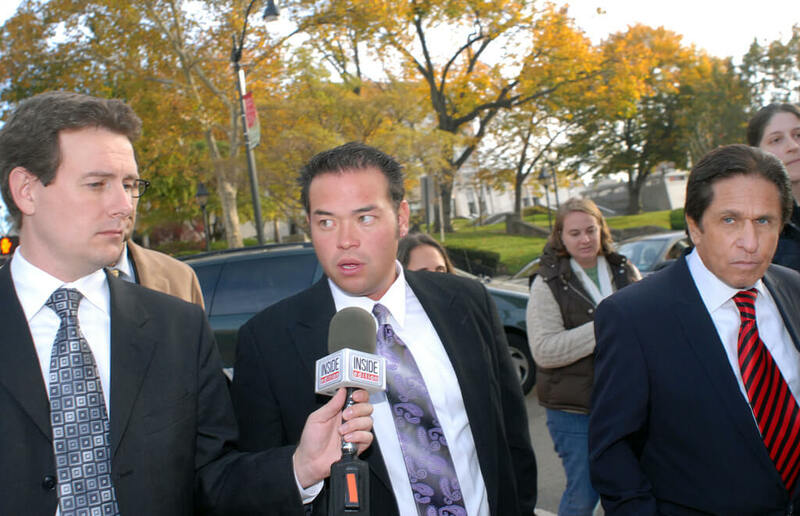 Jon and Kate Gosselin’s divorce was finalized in 2009, but nearly 10 years later, the bitter custody battle rages on. In August 2017, things got heated when Hannah refused to leave her dad’s house to go back to Kate’s. A fight ensued which eventually led to an emergency custody hearing. During the hearing, the judge granted Jon equal custody of Hannah until he and Kate go to trial. While Kate still has full custody of the couple’s remaining children, a new trial will determine if Jon gets 50/50 custody of the other sextuplets. 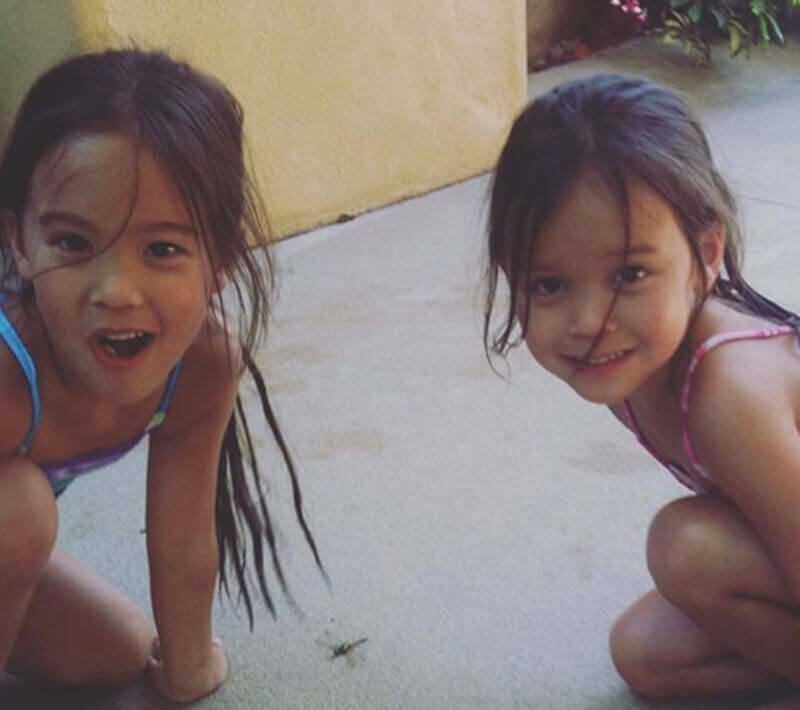 While Jon and Kate Gosselin keep lots of their private life under wraps, it’s hard for fans not to speculate. 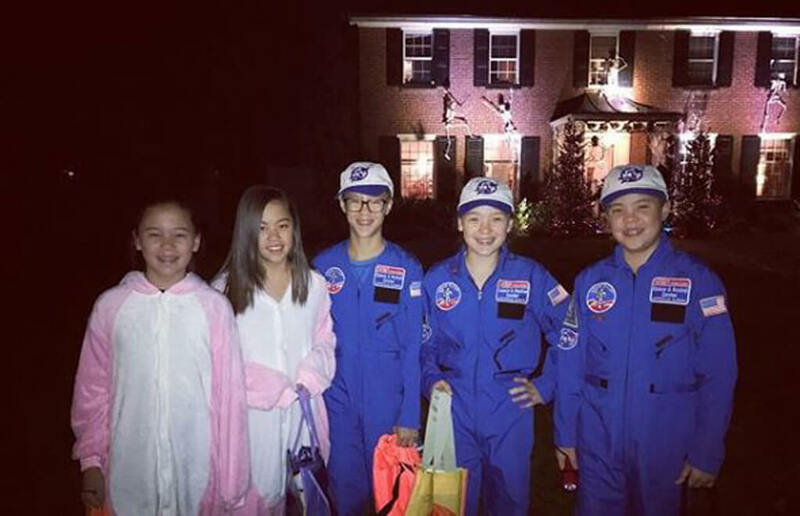 So when Kate posted of picture of six of the Gosselin kids, many couldn’t help but wonder where the other two were. One reason why Hannah may have been noticeably absent is because she is currently living with Jon. While this hasn’t been confirmed, Jon did post a strange Instagram live video on August 16th revealing Hannah is now living with him full time. In the video, Hannah can be seen in the background playing music. The exes continue to be in a bitter custody battle, but Jon and Hannah are frequently seen together. Although Jon and Hannah seem to have a healthy relationship, the same can’t be said for his two oldest daughters. In an interview with People, twins Mady and Cara revealed that they are estranged from their dad and haven’t talked to him in a long time. Jon is no longer working at the restaurant chain, but he has found another gig he is passionate about. While it was no secret that the father of eight was having trouble finding employment, he thought of one way to come up with some serious money. In September of 2016, he filed a $5 million claim against the network, stating that the television show and network had damaged his reputation and is preventing him from making a living by working with other media outlets. Rather than banning him from working with other networks, Jon claims the producers have contacted other media and persuaded them not to sign a deal with him. The lawsuit is a counter to a lawsuit that TLC filed against Jon in 2009, claiming his work doing paid TV appearances without permission from the network violates their contract agreement. 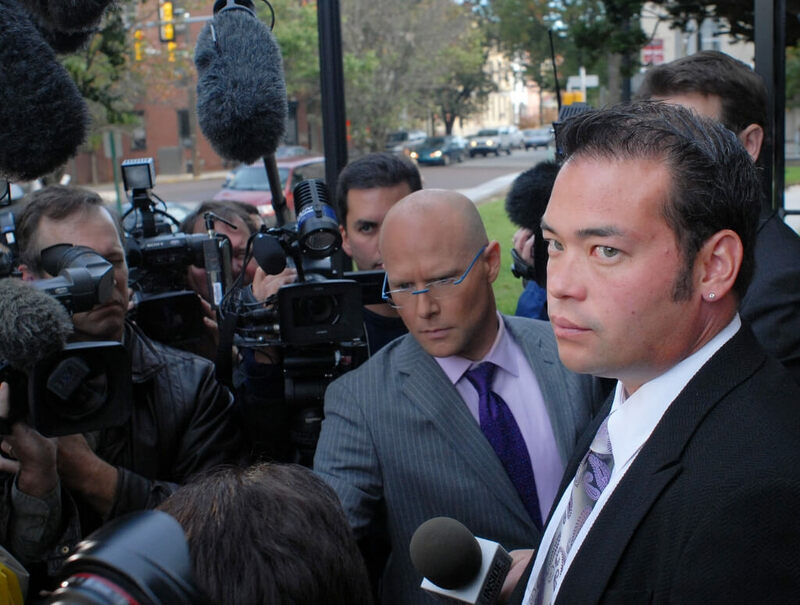 When Jon Gosselin was a new dad, he was an established professional working in IT. But over the last few years, the former reality star has left the world of information technology for other ventures. 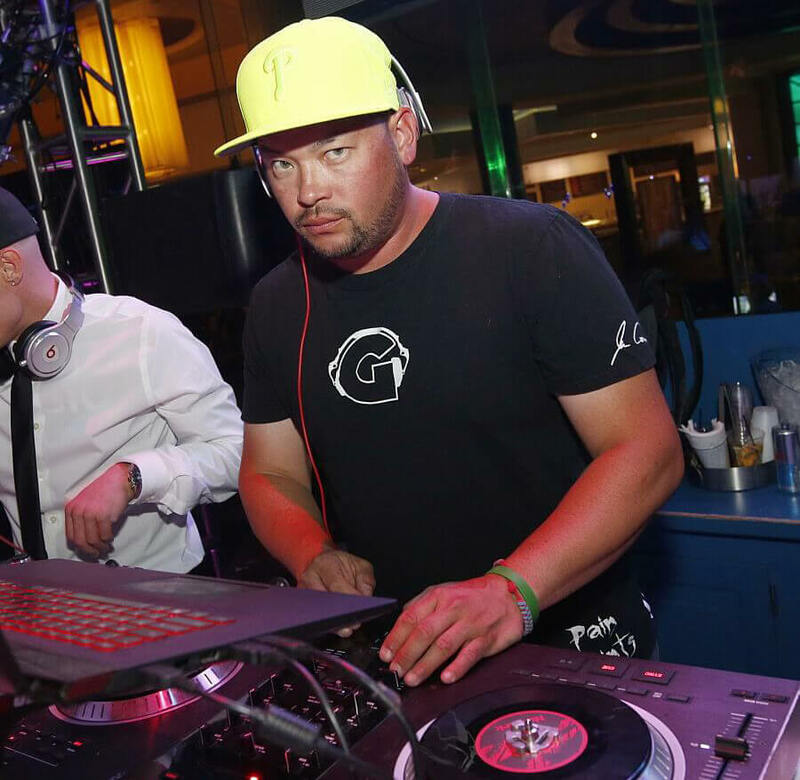 After his stint at T.G.I.Friday’s, Jon started working as a DJ. 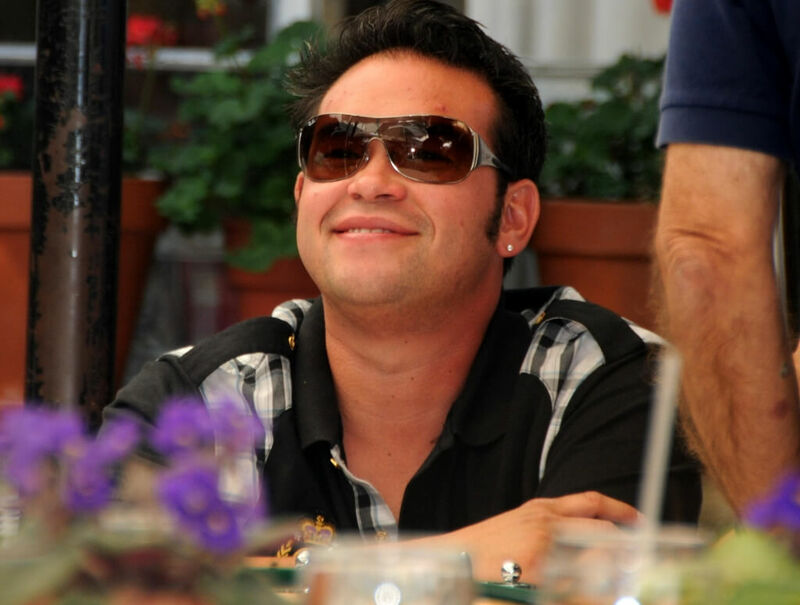 At one point, it was reported that Jon and Kate Gosselin were making around $22,500 per episode of Jon and Kate Plus 8 — which is no chump change! But in the midst of their bitter custody battle, the couple has had to spend hundreds of thousands of dollars in legal fees, spousal support, and the like. 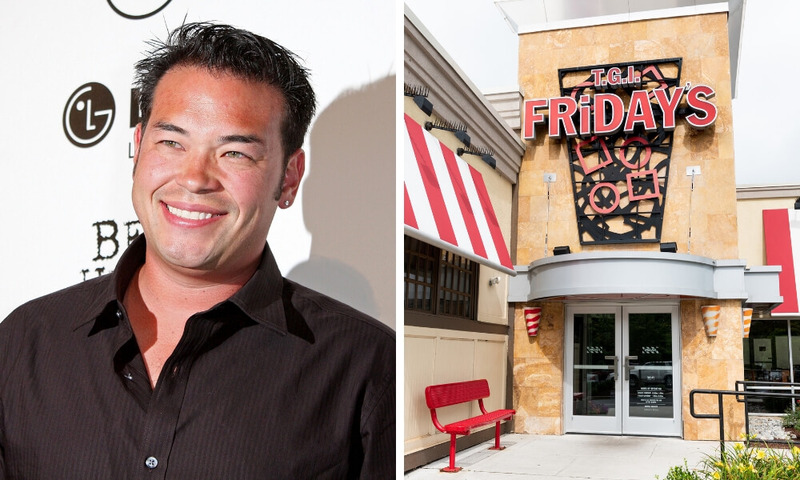 While Kate is pulling in a cool $40,000 for each episode of Kate Plus 8, Jon isn’t so lucky. Apparently, the former reality star is now struggling to make ends meet thanks to his legal bills — which explains why he has been taking on a slew of seemingly random jobs. In September 2017, Gosselin’s girlfriend, Colleen Conrad, even went as far as to set up a GoFundMe to help him get back on his feet. 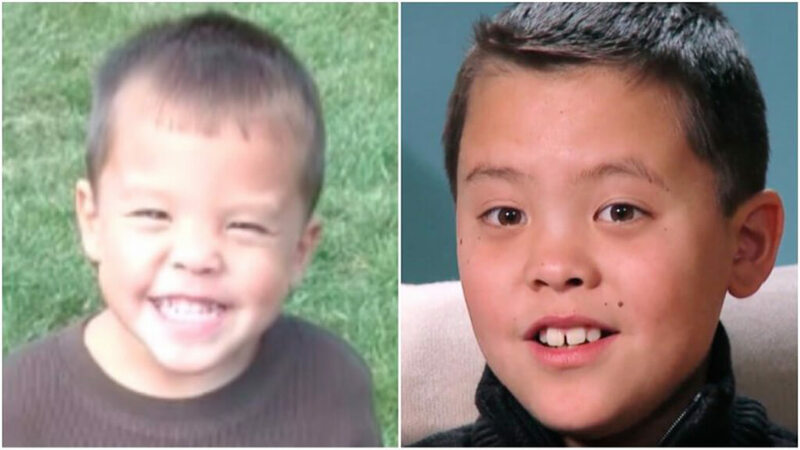 In September 2017, Gosselin’s girlfriend, Colleen Conrad, set up a GoFundMe to help him get back on his feet. The website is popular with people who need some support when going through a hard time, such as paying for medical bills. 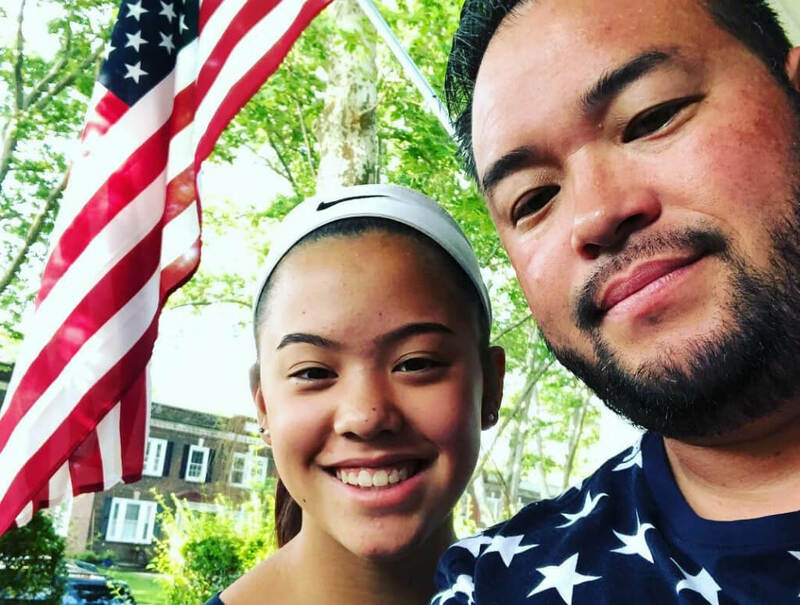 Jon’s campaign included sweet photos of the single dad with his kids alongside this text: “The family and friends of Jon Gosselin know the loving, caring, devoted father that he is, and they understand his desire to do what is best for his children. The GoFundMe was created on September 2, 2017, but due to backlash only received 66 donations totaling $3,301, although the set goal was $30,000. The page is still up but no longer accepting donations. 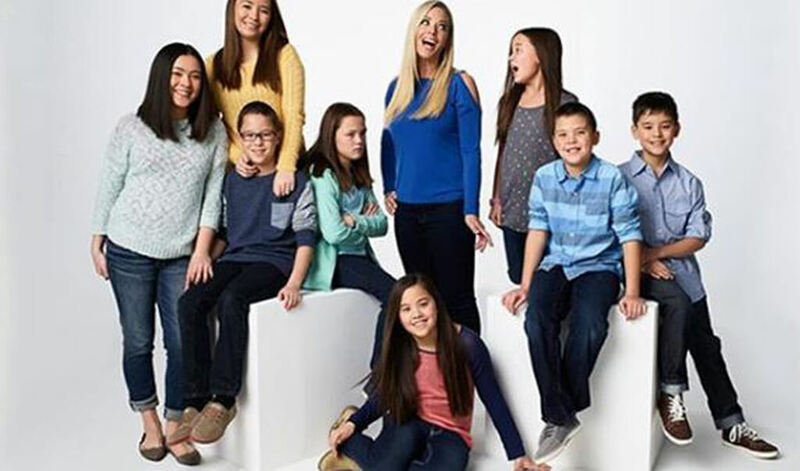 With her divorce almost 10 years behind her, it’s no surprise that Kate Gosselin is ready for a new relationship — and apparently, her kids are ready for Mom to find love again too. With her latest reality show, love might be just around the corner! To kickstart Kate’s search for love, she’ll be starring in TLC’s most-anticipated reality show in the fall of 2018 — Kate Plus Date. In April 2018, TLC revealed its first teaser for the upcoming series, which will document the reality star’s dating journey. Kate, who says she is excited to “force” herself to do this, says that her daughters helped her realize it was time to get back out there. Kate said, “As we’re talking about Mady and Cara going off to college which is becoming more and more of a reality, it’s gonna happen, it almost became like a worry for them, too, like ‘Mommy, you’re gonna be all alone soon,’” she told People. In August 2018, the same month that she headed back to school, 14-year-old Hannah deleted her Instagram account. 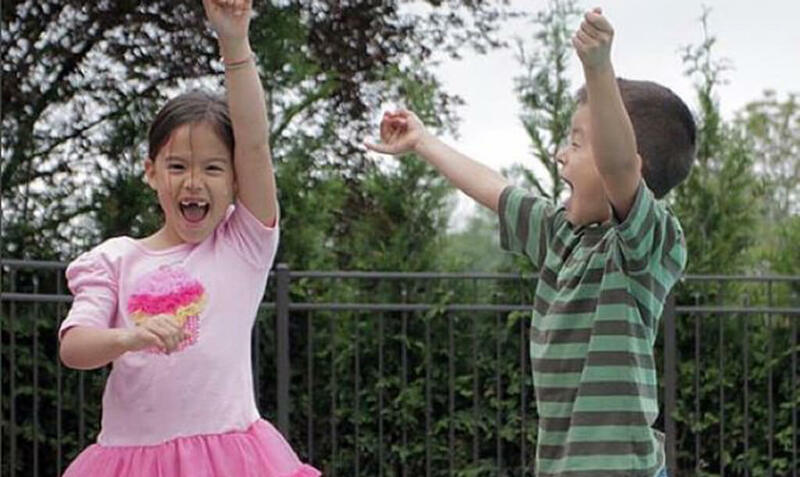 Most kids her age are glued to Instagram, especially heading into a new school year, they want to make a good impression and show off everything they did over the summer break. It seemed like weird timing, especially since she was previously active on social media. It appears that there was some disagreements between Jon and Kate over the kids’ use of social media. Like many moms, Kate is worried about her kids interacting with strangers and posting photos on social media. Her kids being famous and nationally recognized adds another layer of concern. 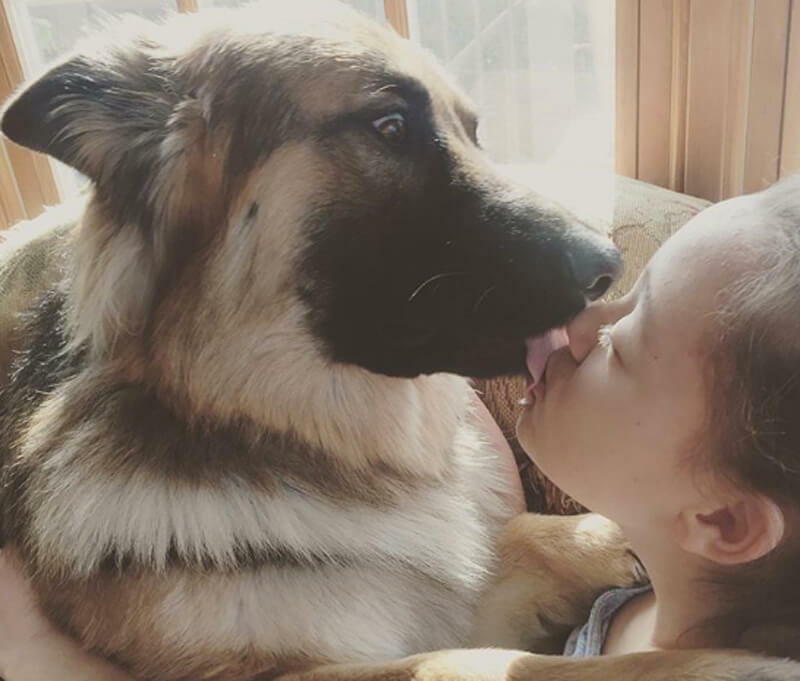 Kate’s concerns were soon validated when she caught someone on Instagram impresonating her daughter Alexis. Kate posted a video to her social media, warning people of the fake account. It was clear that Kate didn’t want the kids to be on social media. Not only did Jon disrespect her wishes, he threw it out there for everyone to see. Jon went ahead and promoted Hannah’s Instagram on his page in May 2018. While the majority of the children live at Kate’s household, Kate doesn’t spend the same time with her daughter Hannah, who lives with Jon. The term “mom-shaming” has sadly become a thing on social media. It happens when social media users comment on a mother’s photos or status with harsh, unsolicited judgments. Often times its other mothers who harass them. Kate and Jon’s family were one of the first to be featured on reality TV. They helped pioneer the type of shoes that TLC would continue to produce. But no one could have predicted how popular the small town family would become, and how much fame they all would receive as a result of it. 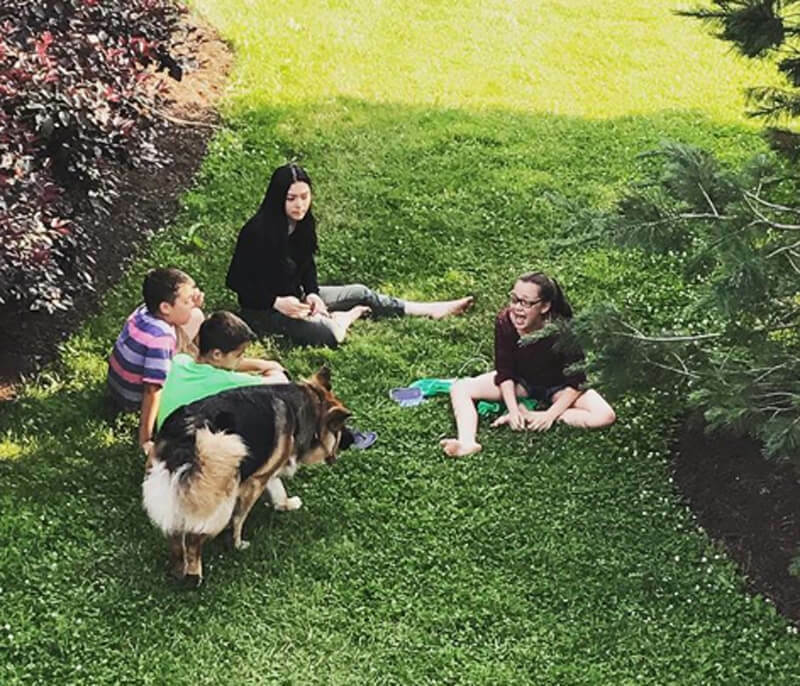 While their entire lives are out there for everyone to see, at the end of the day, they’re just another American family enjoying time together and doing the best they can for each member of the family.